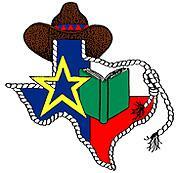 After you finish reading a Lone Star title, make sure you complete the Lone Star Reading Quiz to earn prizes. Remember, all students who read at least 5 Lone Star books (and complete the quizzes) will be invited to attend the ice cream party in May! ﻿*You must take a quiz for each Lone Star book you read.